Never heard about Pyboard? Don’t worry. I was in the same state when I got introduced to Pyboard as well. Pyboard is a microcontroller board developed by Damien P. George to test run Micropython. Micropython is a growing, open source, a high-level programming language which was designed to run on low memory microcontrollers. First the appearance, the Pyboard is one of the smallest microcontroller boards you could ever see. It is very much smaller than most of the popular microcontroller boards found in the market. For example, Arduino and Raspberry Pi are way too big compared to the Pyboard. In this way, it is an advantage to use this board for developing products. The Pyboard is available with and without pre-soldered header pins. The Pyboard is about 1.5”x 1.5” packing an STM32F405RGT6 microcontroller with an ARM Cortex-M4F core, MMA7660 3-axis accelerometer, RTC, 3.3V voltage regulator, onboard LEDs, reset switch and user switch which is too many for a board of this size. It also has dedicated pins in 4 rows for connecting servos which cannot be found in any other board till date. Also, this board has an accelerometer and RTC which is super cool for doing funky projects. The only vulnerable part on the Pyboard is the micro USB connector which can break if you don’t use it carefully. Also, the Pyboard works only on 3.3V, so giving anything more than that might destroy the board. Otherwise, it’s almost impossible to brick a Pyboard, but if a piece of metal or any conductor has been knocking around a live board, it’s possible. The Pyboard has 1MB of flash memory and 192kB of RAM. The flash memory forms the internal filesystem, and the SD card can be accessed as an external filesystem. If an SD card is used, it will provide more space to store larger programs and libraries. You can right away start using the board by connecting it to your laptop or PC using a Micro USB cable and a serial terminal software like PuTTY or HyperTerminal or RealTerm, etc. It is as simple as that. This ease of use cannot be found while using other boards. 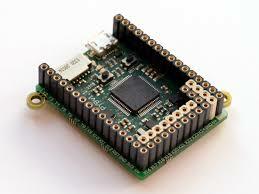 The Pyboard runs Micropython as its operating system which is open source. Micropython doesn’t have many libraries now. Since it is gaining more popularity, more libraries will be developed soon. There are two main disadvantages of Pyboard. It would be better if the cost of the Pyboard is less because it currently costs 35$ which is the cost of a Raspberry Pi. The other disadvantage is that there are no inbuilt networking chips on the Pyboard which might not fancy people who like IoT. But there seems to be a WiFi skin for Pyboard which I haven’t tried it yet. Maybe you guys can try it and tell your views about it in the comments below. To conclude, Pyboard remains as a flagship board for anyone who wants to learn Micropython for the first time. Also, don’t forget to check out this blog on Why Micropython? Lakshana is an Electronics Engineer by education and is passionate about designing and manufacturing electronics hardware.